Exosite is a technology company focused on connecting devices and systems. They have been developing embedded technologies for over 20 years – and have first-hand experience dealing with the lack of connectivity between devices, networks and users. Their cloud-based data platform makes it easy to put real-world information online. 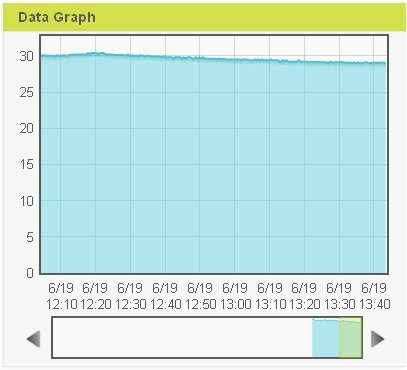 The exponential growth in electronic data implores a ubiquitous connection tool. Exosite’s platform is that tool. Their software provides a central vantage point, enabling the next generation of connected products and supplying insight into operations. According to Gartner, there will be nearly 26 billion devices worldwide on the Internet of Things by 2020. The Gartner report can be purchased for US$199,00. Exosite offers a zero cost free developer account. It has everything one needs to start interacting with one’s devices real-time over the Internet. One gets a web dashboard account, full access to the API, a cloud scripting environment, and the ability to upgrade features a-la-carte. 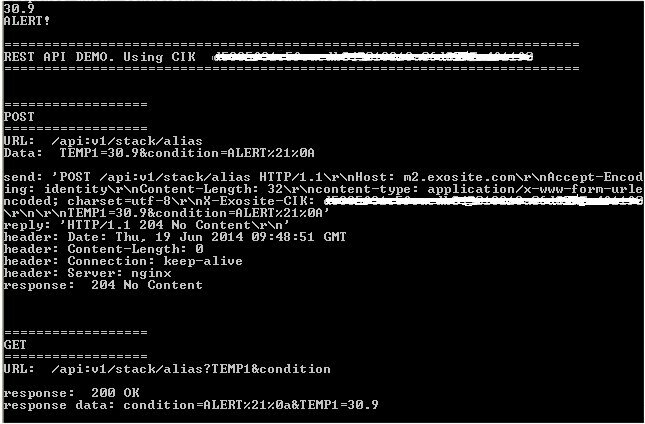 Send the values read by chipKIT Digilent uC32 to Exosite platform through Raspberry Pi. a) Having run the sketch as shown in previous tutorial (it is a pre-requirement to have done) you will see on Basic I/0 shield’s OLED: Note that rightmost switch is toggled to up position. Only in this position the Alert for temperature above 24ºC will work. 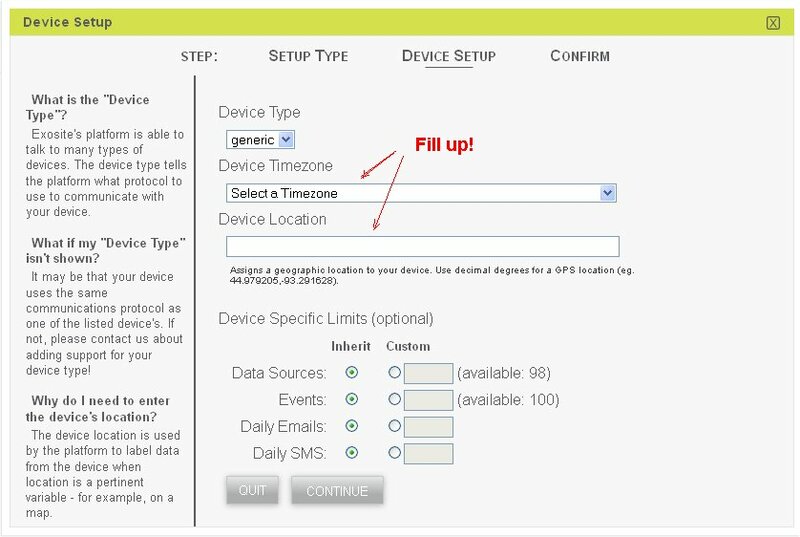 v – In next step choose your time zone and add your geolocation: Click CONTINUE button. 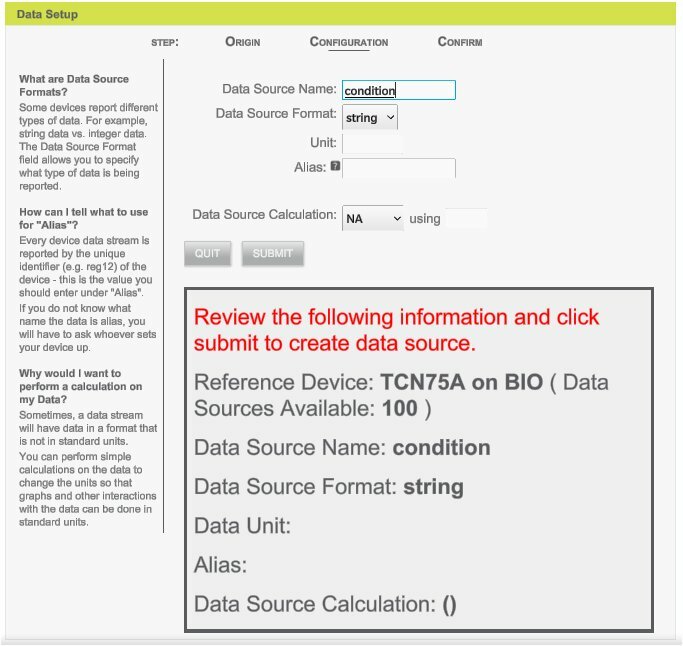 Your Device will be now available.Click the link on top right that says to add Data We are interested in this tutorial in reading degrees Centigrade and whether Alarm condition is met. 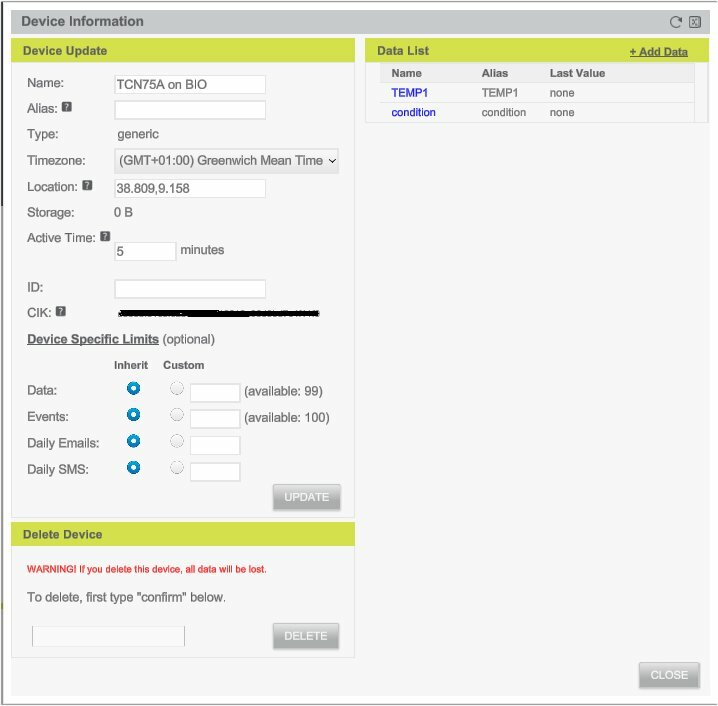 In our firmware code for chipKIT Digilent uC32 when 24ºC is read and above Alarm is ON. Below temperature is OK. At the moment where I am temperature even in my Office is higher than 24ºC so the OLED display on BASIC I/O shield says ALARM! and this is transmitted serially. 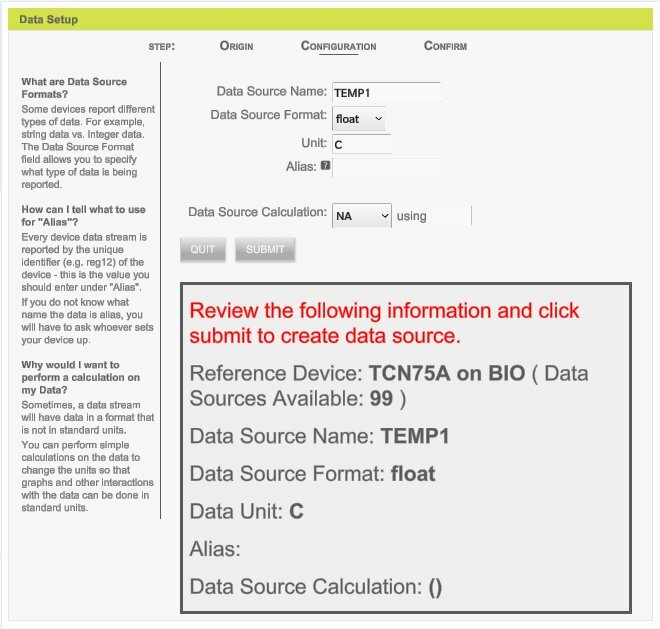 So two Data values will be sent to portal TEMP1 and condition, the former has the temperature and second is string Alarm or OK.
We give the name condition and we say that the Exosite must expect a string. If the reviewed information is correct click on SUBMIT button. 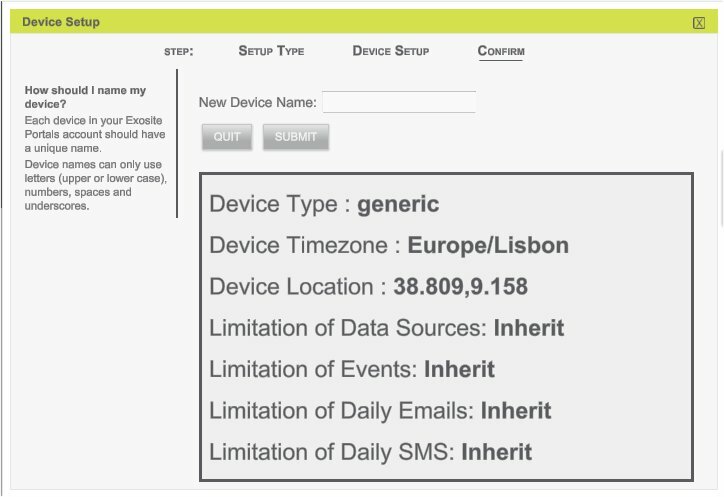 Up to 100 data entries can be configured for the Device. You will be greeted next with a window that says that your configuration has been successful. Click SUBMIT button and you will again see the window that Data has been added successfully. x – Now we configure our Device and obtain valuable information from it for our code that we will write after. CIK number will be need. I have blackened my CIK number. Copy it and past somewhere else. 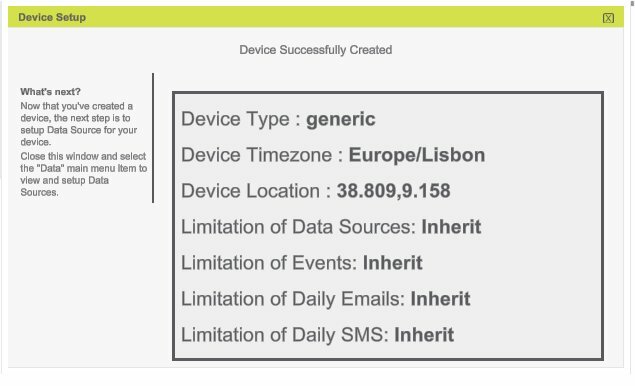 Note that our Data entries are already in our Device configuration TEMP1 and condition. You can close clicking CLOSE button or UPDATE (if you make any changes to your Device) and CLOSE buttons. 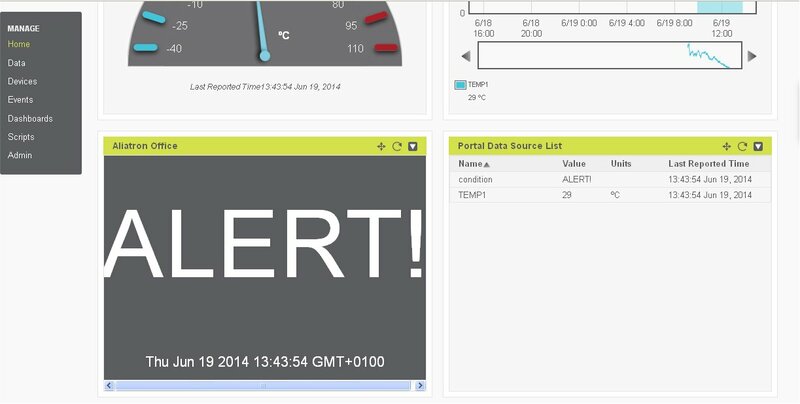 Exosite Porta’s dashboard is read. 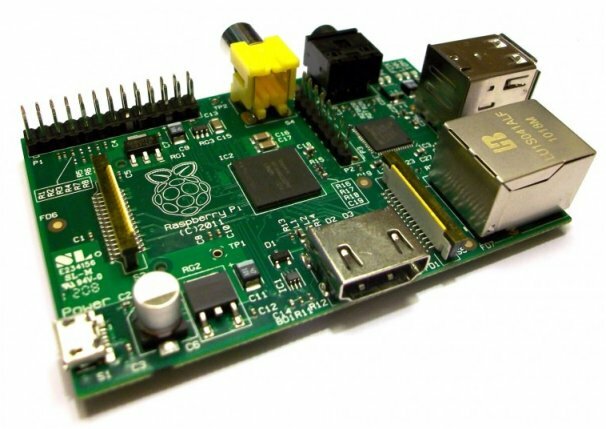 We will now proceed to Raspberry Pi. I have whitened my CIK value. At the beginning we see that TEMP1 and condition are both read. 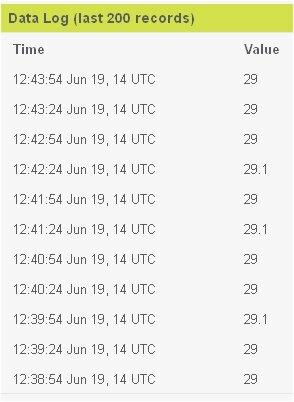 Next the values read are sent to Exosite. The response “204 No Content” which is alright as it is what is expected. Next we get a response from the server that has been delivered with “200 OK”. If this does not happen with you something you did is wrong. You need to follow this tutorial thoroughly and follow all the steps. We are at the end of this tutorial. You can add a Bluetooth dongle to your Raspberry Pi and a Serial SPP module to the chipKIT Digilent uC32 board. You can use Bluetooth to send the values read on Microchip TCN75A temperature sensor on Digilent Basic I/O shield to Raspberry Pi. So you can achieve a truly wireless connection doing away with USB cable. More and more applications are now Cloud-enabled. 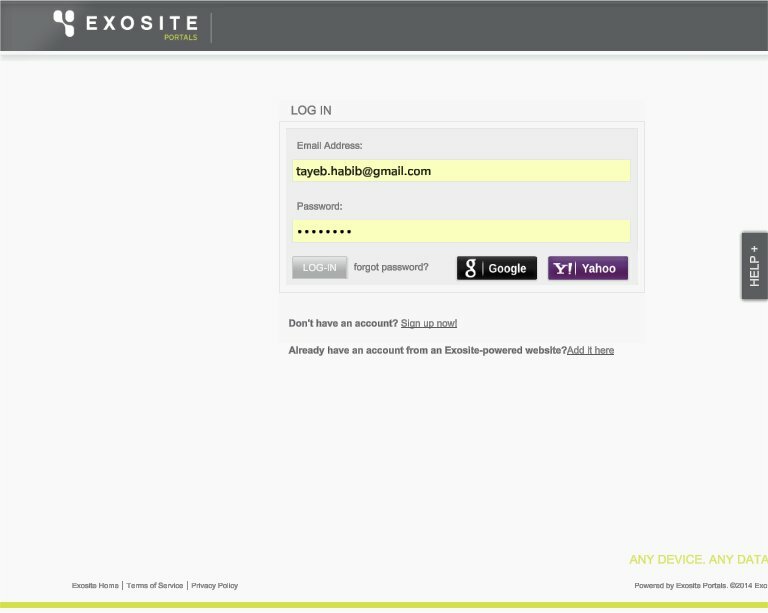 Exosite has lots more of potential that we have not exploited. 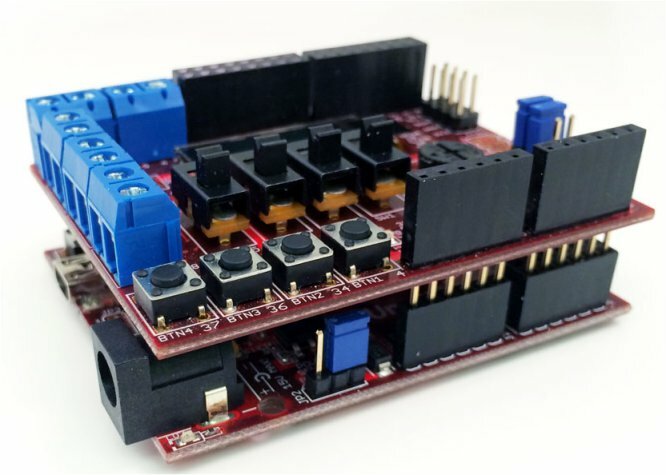 Connecting up Raspberry Pi with chipKIT Digilent uC32 with Basic I/O shield open up a whole new range of interesting electronic projects. It is quite easy to Cloud-enable your project and Exosite offers you the possibility of doing for free to test your ideas and gradually grow. This entry was posted in Internet of Things and tagged BASIC I/O, Cloud, Digilent, Exosite, Microchip, PIC32MX, Raspberry Pi, RPi, TCN75A, Temperature, uc32. Bookmark the permalink.